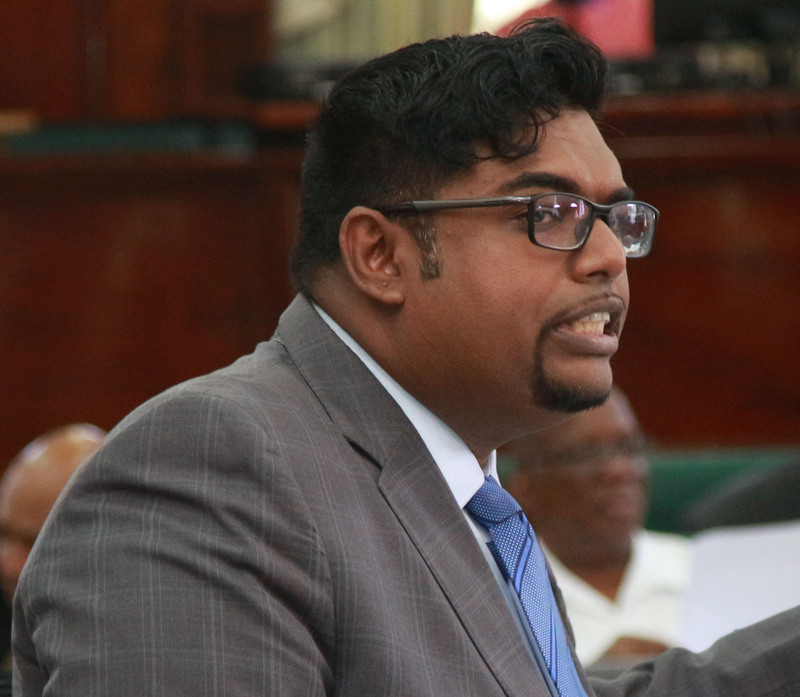 PPP/C presidential candidate Irfaan Ali should urgently address concerns about the authenticity of his academic qualifications since his integrity is on the line, Working People’s Alliance (WPA) executive Dr David Hinds says. “He should address and settle this matter once and for all. He is running for the highest office of the land and could become the next president. It is therefore incumbent upon him to remove any doubts about his integrity,” Hinds yesterday said. “We have to insist on the highest standards. I don’t think academic qualifications should be a prerequisite for office. But this is not an issue of his qualifications. It is about whether he is telling the truth about those qualifications. So this is a case of integrity,” he added. Ali has been dogged by questions about his academic qualifications since the announcement of his candidacy to lead the opposition into the next elections. In the days leading up to the PPP/C leadership’s election of him as its presidential candidate, documents that suggested that Ali’s qualifications were not authentic were released to the press. He has said that he will provide details to refute all the allegations against him but has not yet done so. Stabroek News recently asked him to address that issue and he was also asked about other issues. Ali is currently in Trinidad and has promised this newspaper that in the coming days, he will put to rest the doubts over his academic qualifications and how he obtained them. Hinds said that Ali may believe that some of his supporters would back him regardless of the authenticity of the documents, but he has to remember that one running for presidential office is representative of all the people. “He may think that this issue would not affect his support among the PPP/C base. But as president he has to be the president of all of Guyana and be the face of the country. So he must come clean on this issue,” he emphasised. Hinds also believes that the PPP/C itself should ensure that Ali addresses all issues that could pose a threat to his remaining in office, should he be elected, soonest. “The responsibility lies with his party; he is their representative. They have a responsibility to offer the country a candidate without issues that can affect his legitimacy if he is elected,” Hinds said. General Secretary of the party and former President Bharrat Jagdeo had questioned the timing of the release of the documents pertaining to Ali’s qualifications and has also said that the matter would be addressed. In late February, Jagdeo said that Ali was awaiting transcripts and other documents from institutions he has said he obtained qualifications from and when the presidential candidate received those, they would be made public and the issue put to rest. The 38-year-old Leonora, West Coast Demerara resident and former Minister of Housing, has said that he is the holder of a Bachelor and Master’s Degrees and is currently completing works for the doctorate programme he was pursuing at the University of the West Indies. Ali has said that he believes that he can win the upcoming general elections because of the track record of his party and his own experience. Asked by Stabroek News how he planned to deliver a minimum of 50,000 jobs and to respond to the criticisms that his promises are empty appeals to the unemployed, he stressed that his party has sound policies. “Some of the job-creation approaches will include but [are] not limited to: reorienting the spending in the budget towards job creation which can see 10,000 more jobs; 11,000 jobs resulting from the reopening of closed sugar estates; 5,000 jobs through the development and implementation of a pragmatic local content policy and legislation for the oil and gas sector; and another 15,000 from the expansion of several service-related sectors, including Information and Communications Technology,” he said. He further stated that his plans include wide Diaspora engagement, since he believes that with an emerging oil and gas sector and revenues to be had from it, there are not enough specialists here. With the PPP/C now finalising its manifesto, Ali said that the public would see an elaborate plan in terms of job creation, revival of various industries and the creation of new sectors. And while he said it is teamwork among PPP/C members that would guide how he plans to lead if elected to office, the onetime Minister of Housing noted that he also brings years of personal leadership experience. “The policies and programmes are derived from a team approach and it is my task to lead the party as the Presidential Candidate to promote those plans/programmes. My experience in the Cabinet and as a technician allows me to have a wide perspective in both policy conceptualisation and implementation. The implementation of large scale projects and initiatives would no doubt be of tremendous benefit, leading Guyana into the future and require a leader with critical skillsets. The future of our country requires leaders with a complexity of skillsets, including managerial, project management, development planning and finance, among others,” he said. “My training and experience in these areas would, therefore, be an asset. Also, I will surround myself with the best talents available in Guyana and the diaspora in specialised areas critical to our future. At this juncture, our country is badly lacking bold, transformative leadership which I intend to deliver,” he added. Ali is also currently facing criminal charges over the allocation of house lots to fellow Cabinet members and other persons in the Pradoville 2 Housing Scheme during his tenure as Housing Minister. The basis of the charges is that the lands were sold far below market value. He has mounted a challenge in the High Court to have the charges dismissed.